Conveyancing is the name for the legal process of reassigning ownership between the seller and the buyer. Conveyancing is always carried out by a solicitor or licensed conveyancer, and when your tender for a property has been accepted, the seller's estate agent will take the details of your solicitor so they can begin the conveyancing process. Conveyancing, the legal work involved with buying or selling property, can be expensive should for any reason your property purchase or sale fail to complete. With increased competition in this sector of the market service and cost are now a priority for customers who take out mortgages. Mortgage Help Centre are happy to recommend Conveyancers who we believe offer value for money and excellent service. 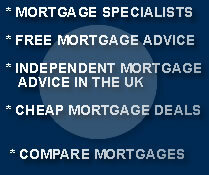 Mortgage help centre offers conveyancing mortgages in all areas of the UK. We offer our mortgage services in the following areas such as london, birmingham, newcastle, luton, bedford, scotland, leeds and suffolk.